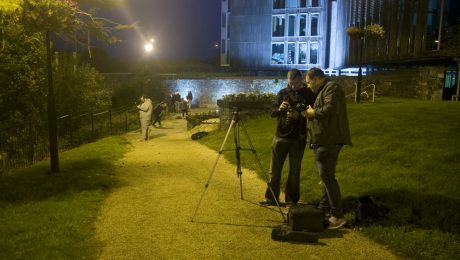 Mullingar Camera Club | The only requirement is an interest in photography. Mullingar camera club will have its opening night of the 2018/19 season on wedensday the 5th of september at 7.30 PM in Mullingar arts center. All are welcome. Dom Reddan apollogised as he could not make for last Wedensdays meeting due to flooding in his area, So you have a week longer to get your entries for the print competition together. remember the rules are here. The projected image competition is held over for the following week. Next week it is a practical session on Portraits. So bring your camera (and manual if you need it to adjust settings). There will be 2 – 3 setups to allow you get a feel of different types of portrait photography. We should have both rooms available which will allow multiple setups. We had a productive meeting on last Wedensday discussing how to use some of the more advanced features on our cameras. Next week (the 25th ) will be the the monthly projected image assignment, the theme is shapes. remember you can enter 2 images in this, one colour and one b/w . October 12, 2017 in Club Meetings.